To bring awareness of mindfulness to parents and teachers and how they can use it with the children in their lives. The day will be hands on, fun and calm. There is no pressure for anyone to be actively involved but it is encouraged. This is a new concept for a lot of people in the U.A.E and our aim is to ease people into a new way of living their lives. By showing adults ways to practice mindfulness themselves, it will make it easier for them to show children. 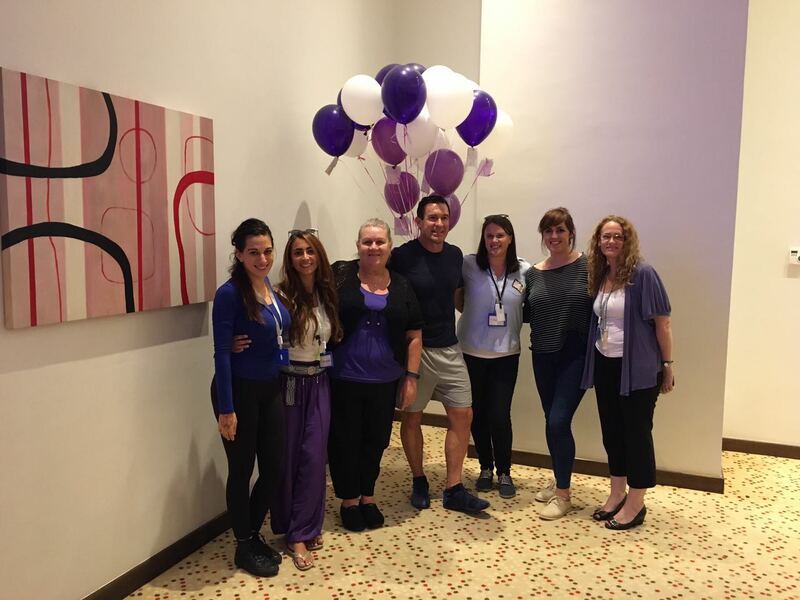 Mindful Matters is bringing together a range of initiatives that aid the well-being of all individuals that practice them. In today’s world, we can become focused on one aspect of what makes us a healthy person. In most cases the focus is on the physical body through exercise and nutrition. Little is done to teach how we can deal with difficult emotions and situations. 80% of stress is caused by the mind which can lead to numerous diseases such as diabetes, heart disease, depression, obesity, to name a few. By teaching a holistic approach to well-being we can reduce stress and disease on this planet. Research shows, ‘mindfulness helps children and young people improve academically, through increased attention, improvements in short-term memory, ability to apply prior learning to new situations, increased creativity and development of independent thinking’. Hear how kids define anger and how being Mindful helps them calm down. 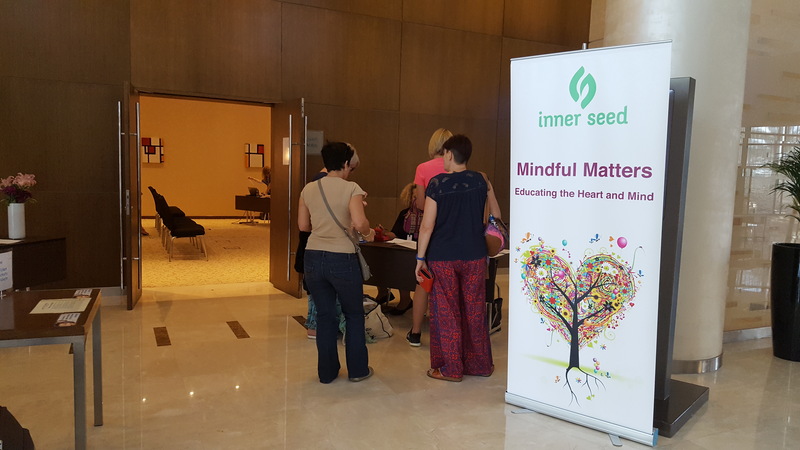 The workshop will be held at the Novotel Abu Dhabi Gate and will begin with registration and a light breakfast followed by a small talk from our guest speaker introducing mindfulness. Participants will then be split into 6 groups and from there will attend 6 different workshops throughout the day. These will consist of yoga, fitness, dance, music, nutrition and mindfulness activities for children. 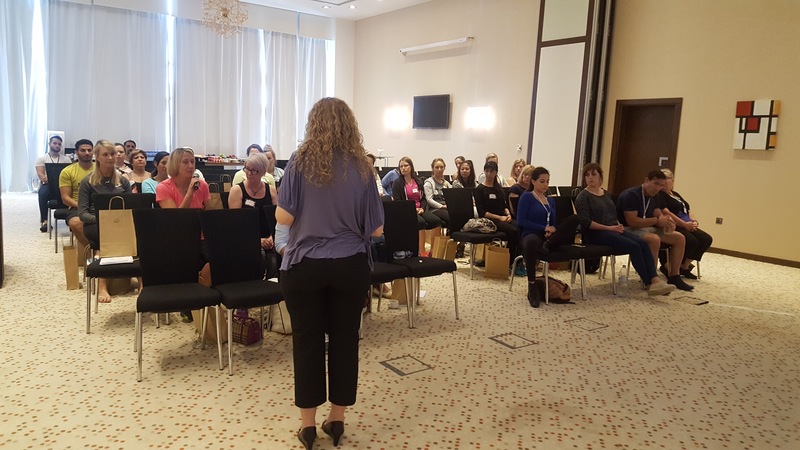 All workshops will be mindfully based and involve a small meditation and activity to help with body awareness. Although directed at adults, the activities will be able to be used with children in the classroom or at home. There will be 3 workshops in the morning before an hour and a half break for lunch at the Horizon Restaurant. The remaining workshops will be completed after lunch. 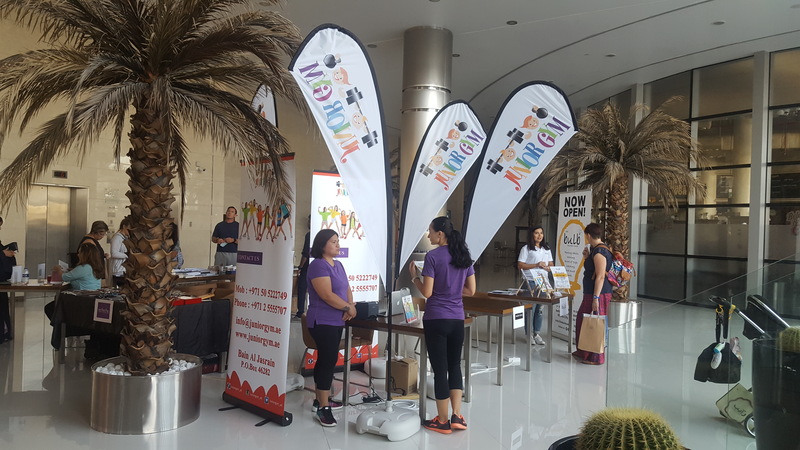 During lunch time, there will be stalls that will be set up in the hotel lobby where providers can sell or promote their product. An important aspect of mindfulness is generosity and giving back. We have teamed up with Operation Smile to encourage adults and children to get actively involved. 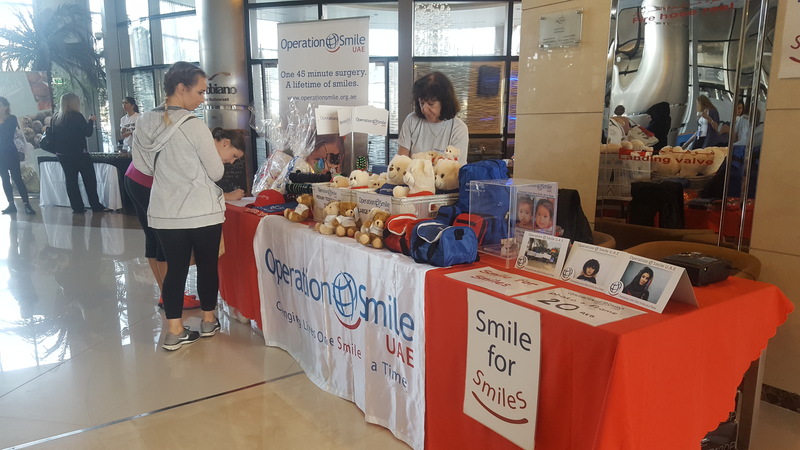 Operation Smile is an international children’s charity committed to saving lives and allowing children with clefts to smile properly for the first time. On the day we will provide access to a charity bin where people can donate clothing. A photo booth will be set-up, ‘Catch a Smile’. The Novotel has offered two prizes that will be raffled off over the lunch hour. Proceeds from sales will go towards the charity. They will also have a stall at the end of the day where people can gain more information about the charity as well as donate money or purchase goods they have for sale. 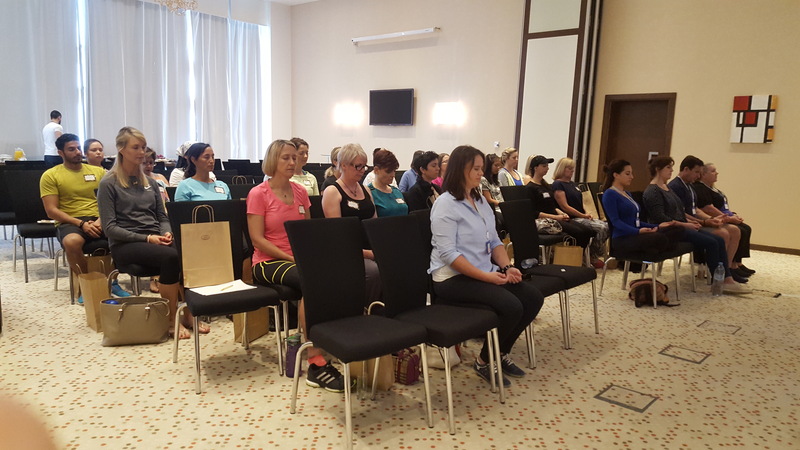 Each workshop will begin and end with a meditation and body awareness activity. Will focus on using senses to bring awareness to the present moment. This helps children to focus and calm down. It can also be used as a way to express emotions children may not be comfortable to share verbally. Demonstration on how to make simple healthy meals for adults and children. It will also look at mindful eating which brings an awareness to what we put in our mouths and how it effects our bodies. Will focus on our physical bodies and how we can use them to express emotions. It also will focus on what happens in our bodies and mind when we are physically active. How does our mood change from when we began? The main focus of this class is to mindfully see the benefits of increasing our heart rate. Participants will be asked to monitor the change in their bodies, muscles and mood as they are present an aware throughout the workout. This is a more in depth look at what mindfulness is and how it can be used at home and in school. Mindfulness is the ability to cope with life in a non-judgmental way. To be aware of our physical bodies and mind and how the two are connected. This session serves to introduce parents and teachers to the art of yoga so they can teach children to embrace cooperation rather than competition and most importantly to empower them to become more self-aware as adults. 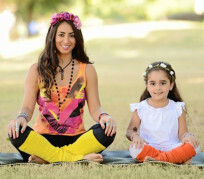 It will highlight the benefits of KIDS YOGA and how it can help children manage peer pressure. It is vital to teach them how to practice yoga as this non-competitive activity which allows them to understand more on how their body movement works and how it makes them feel. 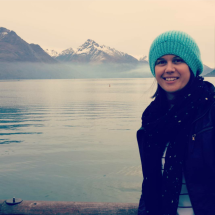 Educational consultant and Mindfulness teacher. Music Workshop with Tracey Macdonald. This workshop will focus on how MUSIC as the universal language, can enable us to communicate with our students and children in a fun, challenging and innovative way. Learn how to use Music as a means to facilitate learning, develop positive behavior, improve your teaching and parental skills and establish a “better way of being”. Share your experiences and learn from one another as we embrace our inner musicians through reflection, active participation and FUN! This workshop will work through eight primary areas of mindfulness in motion: breath, sound, story, emotion, spirit, body, mind and fusion. Participants will be able to let their guard down, tap into body awareness, expression, creativity all while being able to realize the rhythmic qualities of their breathing and heartbeats. This workshop will focus on the importance of how to eat mindfully, without distractions and improve digestion. As the world has become technologically driven and at a higher pace, we forget about how important it is to relax when eating and enjoy our foods for our body to absorb every nutrient. Mary will also demonstrate how to prepare a healthy breakfast and healthy lunch for a child, teacher or parent who is always on the go.